Very Good. 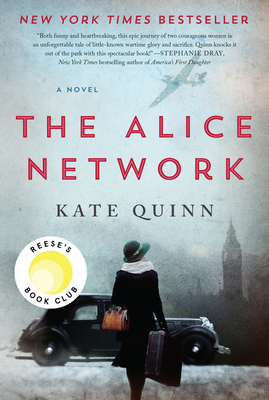 The Alice Network: A Novel by Quinn, Kate, 2017-05-22. Trade paperback (US). Glued binding. 560 p.
New. Num Pages: 528 pages. BIC Classification: FJM. Category: (G) General (US: Trade). Dimension: 203 x 135 x 21. Weight in Grams: 294. 2017. Paperback.....We ship daily from our Bookshop. New. Trade paperback (US). Glued binding. 560 p.